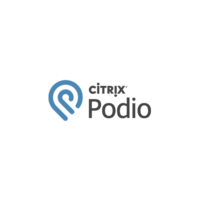 This app enables you to manage Podio tasks in Freshdesk. 1. To integrate Podio Tasks app with Freshdesk, go to Admin > Apps > Get more Apps. Then locate Podio Task app in the app gallery and click on install. 2. Enter your Podio account Sign-In email and Sign-In password and click on ‘Sign In’. 3. Select Podio ‘Organization’ and ‘Workspace’ in which you want to manage tasks. 6. Now, you can view your ‘Podio Tasks’ widget right below the ticket sidebar in ticket details page. 8. Click on ‘+Create Task in Podio’ to create a task in Podio and append Freshdesk ticket URL to task description.